GoPro on Thursday announced a licensing deal with US-based manufacturing services company Jabil. As per the agreement, Jabil will have access to GoPro’s reference designs and IP to produce sensor modules and camera lenses for use in various GoPro-approved third-party products and solutions. Financial terms of the multi-year deal were not shared. Irv Stein, Jabil's vice president of Jabil Optics, said early market feedback indicates strong demand for applications in smart homes, fire, police, rescue, military and security settings. GoPro has catered exclusively to the consumer action camera segment up to this point but the past few years haven’t been kind to the company. The camera maker debuted on the stock market in mid-2014 and found early success, topping out at a value of around $87 per share by October. Aside from a brief rally in mid-2015, however, it’s been all downhill since. Shares are currently down 2.44 percent and trading at just $4.80. GoPro and Jabil have a longstanding relationship but today’s deal marks the first time GoPro is allowing another company to build products using its components. 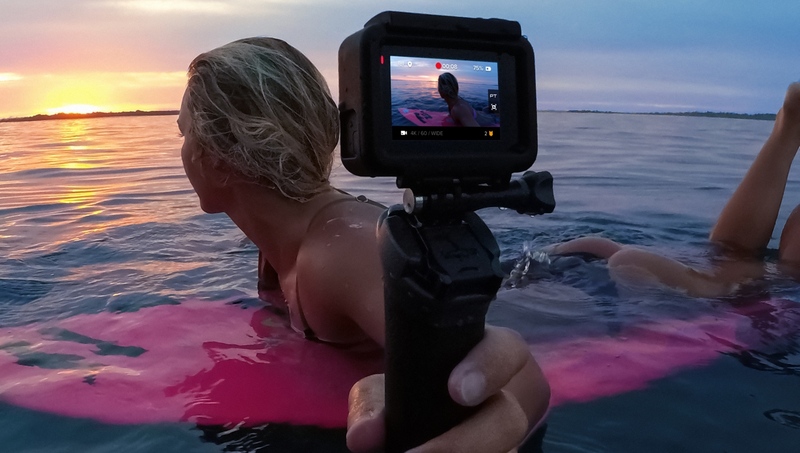 By moving into the enterprise action camera market, GoPro opens the door for increased revenues but it could very well be too late to recover the sinking ship. Notably, new products using GoPro components and IP will not carry the GoPro branding.